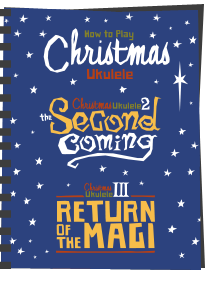 I'm pleased to be welcoming back a ukulele brand I first looked at in the middle of 2017 with very pleasing results. That musical instrument brand is VTAB, and this is their FL-T15 Tenor Ukulele. VTAB are a US brand who produce ukuleles in China, and one that truly suprised me. 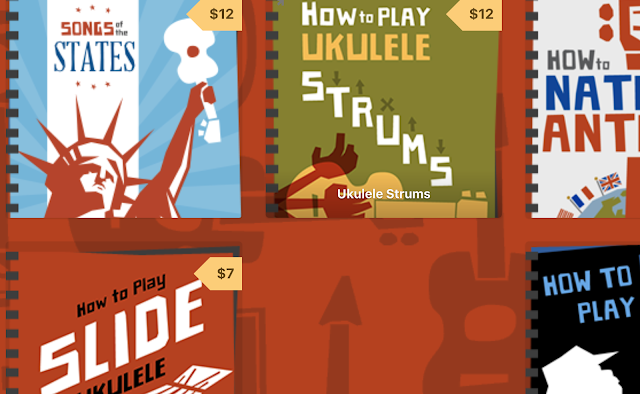 I wrote recently about my concerns over the flood of 'Amazon only' instruments on the market, and it was nice to see another 'made in China' ukulele that doesn't work on this model and is actually available in real shops. It was also nice when the ukulele in question, the MV-TS2401 Concert, was just so damn good for the money! Much to live up to then! Whilst that last review was of a solid topped concert model, this one is an all laminate tenor ukulele, the FL standing for 'Full Laminate'. In fact following my critisism of the mouthful of a name of the last VTAB I looked at, it's nice to see this new, more logical naming system. This one also forms part of a trio in the same specification as there is a soprano and a concert too. So yes, this one is a tenor, standard in double bout shape, but with a really attactive rounded and bigger than usual lower bout that I think looks great. It's all mahogany laminate, with two pieces on the top, back and sides, each bookmatched nicely. I suppose it's not the most striking wood, but then mahogany usually is pretty plain. What I would say though is I like my mahogany a touch darker than this, but there we go. Bridge wise this is a pin bridge, a style I really like and the same as used on their concert I reviewed. It looks the part, and makes for simple string changes. Due to CITES restrictions on wood imports, VTAB have moved all their rosewood over to black walnut now. No complaints from me on that score. Fitted into this is a compensated bone saddle. The whole thing is nice looking and not overly huge either. The body is finished in gloss and once again, this excels. The gloss was a real highlight of the last VTAB I saw, and this one is no different. Really. At this sort of price point you tend to get quite variable gloss finishes, rough patches, bubbles, pooling and that sort of thing. There is none of that here and it's mirror finish that has been VERY well done. We have some decoration too in the form of white trimmed faux tortoiseshell around the sound hole and on the top and back edge bindings. It's not over done, and looks classy rather than blingy. This is one nice looking instrument. Inside you can see the attention to detail doesn't slip and the notched linings and thin braces are tidy and mess free. Up to the neck and this is made of okume hardwood, jointed in the normal places and also finished in gloss. It's another more rounded Chinese profile with the same 35mm nut width as the concert I reviewed. Being a tenor, I would like this a bit wider myself. It is topped with a black walnut fingerboard with a very attractive stripe. It's edge bound too, in black gloss which both looks and feels nice. We have 18 nickel frets with 14 to the top of the body, all are dressed nicely and they are also low in profile which I like. It has clear position dots facing out at the 5th, 7th, 10th, 12th and 15th and these are repeated on the side too. Beyond the bone nut we a nicely shaped headstock with the VTAB logo inlaid in pearloid. It's not a patch on the wonderful slot head on the concert, but how could it be? I LOVE slotted headstocks. What it is though is nice enough, not generic and tidily done. We have unbranded sealed geared tuners with small black buttons so nothing much to complain about here either. Completing the package is a functional branded gig bag, a cloth and some spare string and that will set you back about $105 at RRP. That's a pretty great price for this level of finishing I would say. Setup on this one is terrific. No adjustment is needed at the nut and we are just over 2.3mm at the 12th so no issues. It's also light and nicely balanced. I can see why too as that wood laminate in the body is not over-thick or chunky. Volume is therefore decent. It doesn't quite have the bite that punches through like on the spruce topped concert, but that was a spruce top, and a solid top. What it does have though is a richer more rounded tone that is extremely attractive and warmer than the spruce. The sustain is also good and better than some other tenor laminates I have played lately. Naturally, being a tenor, it tends to sustain more than most concerts too. It really does hold those notes nicely and not in a muddy way either as it has some nice bell like clarity. Ok... it's not a super high end tone and not the loudest ukulele out there (but hey, it's not a super high end price either), it IS very pretty and very playable. I really was taken by the sustain and warmth and enjoyed my time with it. Likewise, I can see the vast majority of players out there likely being pleased with this one. So, very playable, a nice tone, both supported by a great classy look and a truly great finish. Not much not to dislike here is there? 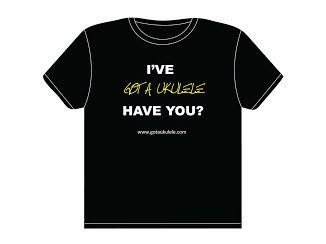 It therefore comes highly recommended by Got A Ukulele. 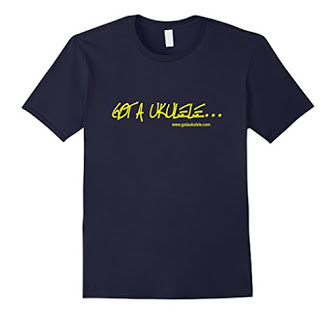 (As a final note - I am told that if you order one of these on the VTAB site below, Got A Ukulele readers can get free shipping on all ukes over $85 using the code 'gotauke2' at the checkout. Boo - no slotted headstock! I was impressed with the VTAB concert as well Baz, and this is a nice addition to that famiky. I'm not a fan of the lighter coloured mahogany either, or of all mahogany ukes in general. I usually go for the spruce tops because of the bright tone and look. But this tenor looks and sounds great and is such good value as well. So I will wait patiently for them to introduce a Baritone to their selection and going on the finish and playability of the 2 you have reviewed I would definitely be interested in buying one. 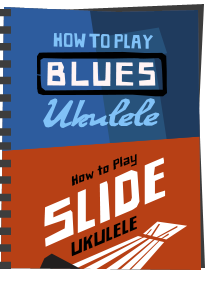 I have been looking for a tennor ukulele as a step up from my Makala dolphin soprano which is a great learning instrument.and i don't feel the need to replace it. I'm a big guy and think a bigger instrument will suit me. I now have a VTAB FL T15 on its way ready for my 50th birthday and will report back when it arrives. Will I be able to fit a strap button ? Fitting one to my original cheepo rocket uke went badly. No brace to screw into, so it fell off and i am not sure about fiting one on the plastic body of the dolphin. any advise? I wouldn't worry about bigger sizes being a big guy. I'm big with big hands and mainly play sopranos. It's all about getting a wider nut instrument. This VTAB WILL take a strap button no problem. I followed up on your review and purchased both Vtab ukes: the tenor Vtabl FL10 reviewed here and the solid spruce top concert that you also reviewed TS C15 at vtabmusic.com. Once I placed the order, it did not take long to receive them. The spruce ships from CA and the mahogany shipped from China. They both arrived a day apart. The set up was perfect, both play beautifully, and look amazing. 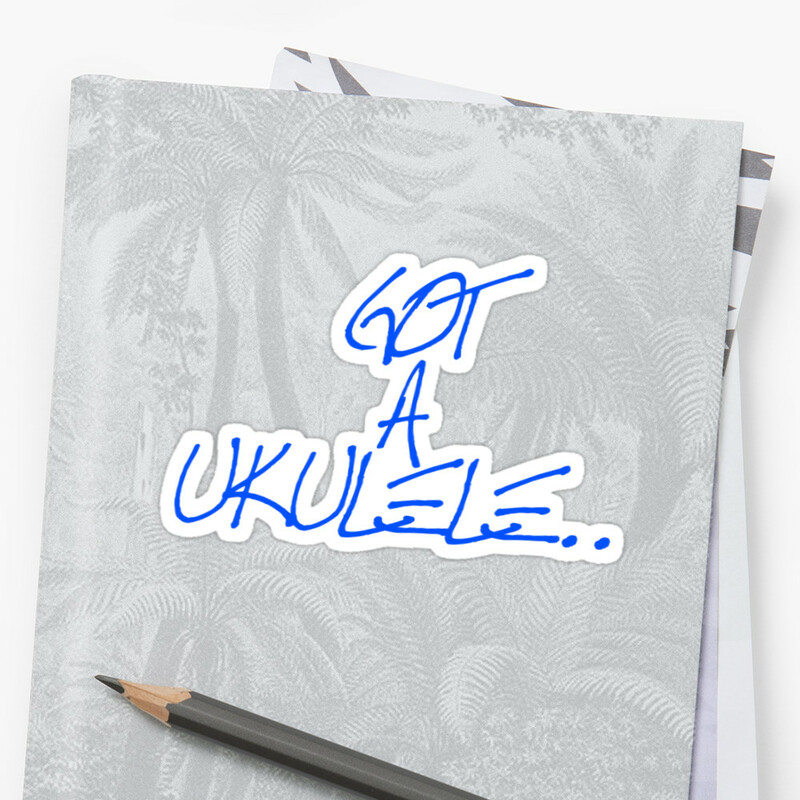 I was hesitant to purchase a uke without playing it but I took a chance based on your review. I am extremely pleased. I had purchased a fender montecito tenor $250 and the c string buzzed, and the Kala Ebony Concert $125 nut was too high, could not get a clear sound out of the first fret notes so I returned them both. Both of the Vtabs play perfectly. It is really easy to get a clear sound out playing bar chords too. I payed $104 for each, can't beat that price, quality, and sound! I also had questions and placed an email to the company and received a response within a half hour! Great customer service! The case is padded, not cheap, and came with an extra set of strings. 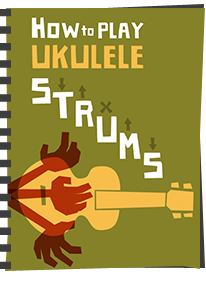 I found there are many other ukes to choose from on their website, based on the two that I received, I would have no concerns purchasing any of the ukes listed on the website. I hope this helps.